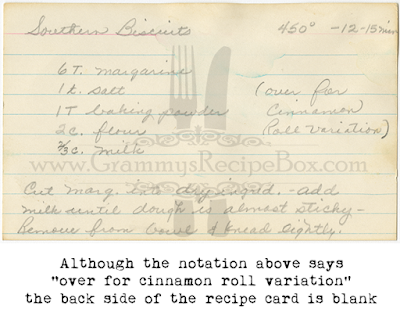 This recipe is handwritten in pencil and looks like it might be one of Grammy's daughter's handwriting (possibly Ann). 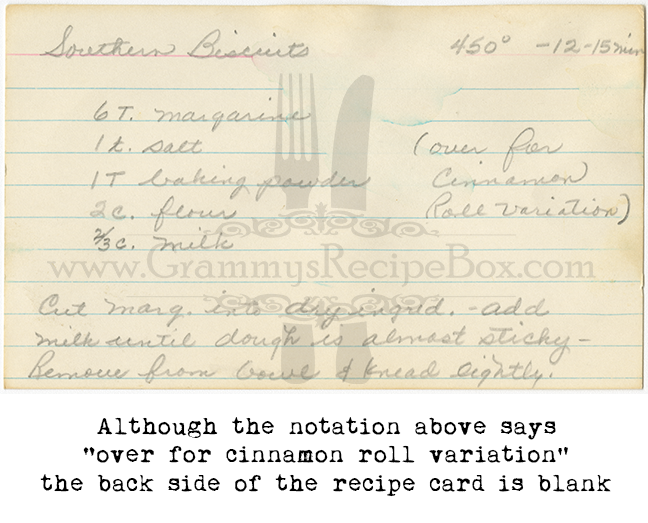 Although there is a notation on the card saying "over for cinnamon variation" the card is blank on the back side. I assume that once the dough has been kneaded, it needs to be rolled out and cut into biscuits using a biscuit cutter. 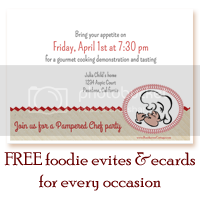 The only other instructions are the oven temperature of 450°F and the baking time of 12-15 minutes.